Other vast buildings are being hurriedly pulled up nearby. “We’re waiting for the concrete to dry before we can pick the Cabernet,” says Tyney, only half-joking. This year they’ll produce 800,000 bottles. Next year they’re aiming for 2 million. For a wine region, the scale of ambition and the pace of change are breathtaking. Ningxia faces significant hurdles: a mismatched food culture, an extreme climate and uncertainty over grape varieties. But they have proved that good wine can be produced here and I’ve never seen a region so determined to succeed. The jagged Helan Mountains run north to south, rising to over 3,500m. They represent the border of Inner Mongolia and northern China. To their west, Alxa League in Mongolia; to their east, Ningxia province in China. Ningxia’s wine region inhabits a dusty strip of land around 120km long that lies between the foot of the mountain range and the Yellow River. Thirty-five years ago, this was a coal-mining community in a desert. The soils are a beige sandy loam that get rockier the closer you get to the mountains. It doesn’t rain much – at best 150mm a year. By itself, the land supports little more than some tufty dry grasses. But by tapping the Yellow River local governors realised they could grow much more. The poor soils weren’t suited to all crops. But grapevines prospered. To begin with, winemaking was led by large government projects set up with help from the armed forces. Observing the possibilities, private companies and family enterprises followed. The floodgates really opened when Helan Qingxue winery won the ‘Red Bordeaux Varietal Over £10’ International Trophy for their Jiabeilan 2009 Cabernet blend at the 2011 Decanter World Wine Awards. In 2012, the government set up the Ningxia Wine Bureau to support the burgeoning industry. Now it’s home to 86 operational wineries farming 38,000 hectares of vines, and this is expected to double in the next 10 years. The capital Yinchuan has been re-imagined as a pristine modern city housing two million people. With little in the way of winemaking history in China and no indigenous wine grapes, where do the people of Ningxia look for guidance and inspiration? A drive around the region makes it abundantly clear. Some wineries, such as Château Changyu Moser XV (who part funded this trip, along with the Ningxia Wine Bureau) wouldn’t be out of place in the Médoc. And that Decanter Trophy has confirmed their belief that Bordeaux blends are the future. Some might scoff that a region that can’t survive without irrigation isn’t naturally suited to making wine. But once upon a time, Bordeaux was a swamp. Cabernet Sauvignon is by some margin the most popular grape, followed by Merlot. Carmenère, known locally as Cabernet Gernischt, is also fairly common. Red wine makes up 90% of production. White wines are mostly made from either Chardonnay or Welschriesling, referred to locally as Italian Riesling (unrelated to the Riesling of Germany). They also make a little icewine. Though red wine is more popular here, at the dinner table white wine often feels more suitable. Large dishes to be shared are delivered when ready, and they keep coming – fried egg with fresh tomato, deep fried eel, lambs’ trotters, honeysuckle buds, fish cooked in boiling stock, spicy soups… it makes any efforts at wine matching redundant. I can confirm that crabs’ brains and Cabernet are not a match made in heaven. I found myself thirsting for off-dry Riesling, Fino Sherry and sweeter sparkling wines, but even though white wines are a more natural fit with spicy, sometimes oily dishes, its unlikely we’ll see plantings increase. Warm or hot drinks are considered healthier than cold drinks, and red is seen as a lucky colour in China – and these things matter. Beer and baiju (a high-strength spirit) are much cheaper and more popular than wine. I was told that total baiju sales top €80 billion a year, while wine sales were just €8 billion. Wine tends to be stocked only in high-end restaurants and is still seen as a prestige drink, but it’s growing in popularity. Cabernet Sauvignon might be king, but Bordeaux this is not. High altitude viticulture (vineyards sit at around 1,100m, higher than England’s highest mountain), a lack of rain and a continental climate make for extreme conditions. There are some benefits – big differences between day and night temperatures bring freshness to the aromatics. There is little in the way of disease or pests to contend with – even 135ha vineyards such as Pernod Ricard’s Helan Mountains can operate organically except from some fertilizers. The main challenge is the climate. “Minus 15 is when you expect to see damage,” says operations manager Mike Insley. “At minus 18 you expect to see some vine death.” With temperatures regularly dropping to -25 ̊ C in winter, like everyone in Ningxia, he has to get the vines pruned and buried under half a metre of earth by late November. That’s right; all the vines in the 135ha estate are taken off their wires, lain down flat, the earth between the rows is dug up and piled on top of them as insulation. It’s a laborious and expensive yearly exercise but without it the vineyards wouldn’t survive. The oldest vines in the region were planted at Legacy Peak winery in 1997; I wonder whether vines much older than this will withstand such treatment. When the vines are dug up again in March, budbreak happens within days. But the growing season is short – and the grapes must be picked before the frosts that can hit as early as mid-October. Summers can be hot but some estates still have difficulty in achieving physiological ripeness, resulting in green, herbaceous flavours and bitter tannins. 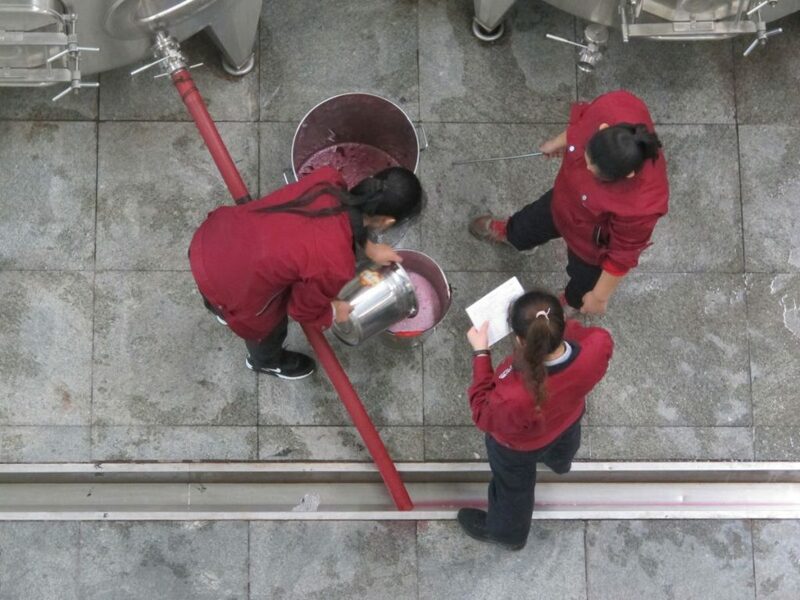 Huge sums have been invested in top-of-the-range winery equipment all over Ningxia, but what’s needed now are skilled vineyard managers with the local knowledge necessary to tackle these unique challenges. There has been some early success with Cabernet, but experimenting with earlier-ripening grapes would be sensible. Charismatic ex-fashion designer Shao Qingsong at Lilan Winery believes “we still need to find suitable varieties for this region.” Like many local winemakers he’s trialling Marselan, a crossing of Cabernet Sauvignon and Grenache. There are some successful examples but it’s a puzzling choice for such an ambitious region – after all, who can name a world-beating Marselan? Looking for a grape that your region can ‘own’ is understandable, but I wonder how much South Africa has really benefitted from such a close association with Pinotage. Château Mihope has had some success with Viognier. Silver Heights are testing out Grenache, Mourvèdre and Zinfandel. Helan Quinxue is trialling Malbec and Tempranillo. According to Ian Dai, the only Natural winemaker in Ningxia, “Syrah has huge potential”. Personally speaking, I’d give Cinsault a try. But Lenz Moser, Austrian consultant winemaker at Château Chengyu Moser XV, believes Bordeaux blends are here to stay. “Why reinvent the wheel?” he says. “Let’s be pragmatic.” And he’s proved that consistently successful Cabernets are possible here. So what is the unique style of Ningxia Cabernet – the goût de terroir? “I’m still looking for that Ningxia stamp,” admits Insley at Helan Mountains. “That’s one of the challenges for Ningxia – [defining] what makes Ningxia wine special.” The Cabernets I tasted were broadly a little lighter in body than those of Bordeaux, with concentrated bright fruits and a spicy vein running through them. But this is a young region with young vines, and any attempt at a definitive description of Ningxia’s style at this stage would be premature. There are already five sub-regions and a nascent cru system, but it feels too early for this kind of detail. Very few Ningxia wines are yet exported, but as more find their way out of China this will shine a light on how the wines stack up in terms of style, quality and value. Dai agrees that wineries “have to be willing to compete with imported wines – and to export.” Despite the extraordinary amount of money, determination and energy being invested here, there are some things – like vine age and viticultural experience – that only come with time. 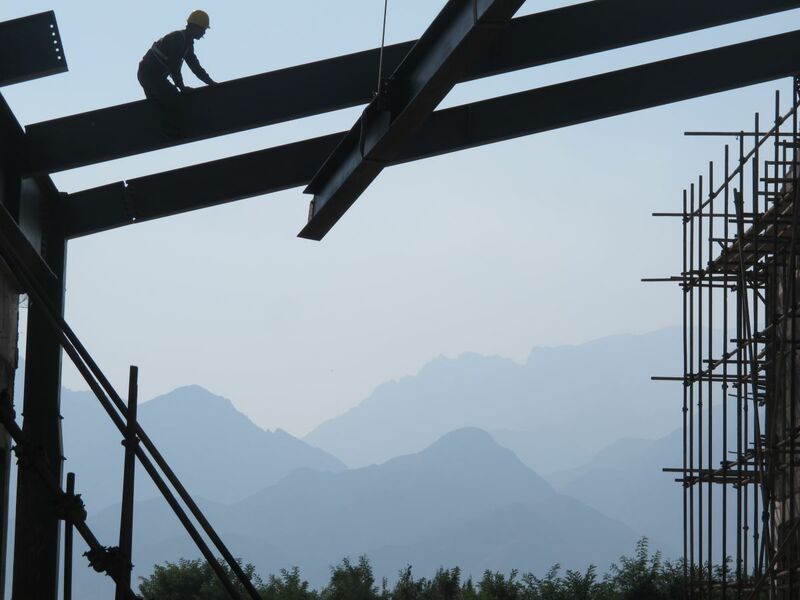 “It used to be America,” says Moser, “but for me the new land of opportunity is China.” After visiting Ningxia, I can see why. RRP £65.00, speak to Berry Bros. & Rudd, soon to stock the 2015. 100% Cabernet Sauvignon, 100% new French oak for 24 months. Austrian winemaker Lenz Moser has become something of a figurehead for the Ningxia wine industry and it’s not hard to see why. Under his consultancy, Château Chengyu Moser XV is now producing the best wines in the region, an impressive range from top to bottom. The 2015, 2016 and 2017 Grands Vins are all excellent wines, but the 2017 shows particularly well, the most refined of the three vintages. It’s powerful but lifted in character with a gentle spice aromas ingrained into the black fruit. Silky in texture, tailored, with a long finish. Should age with interest. 60% Cabernet Sauvignon, 40% Merlot, 24 months in new French oak. Yuan Gau’s husband worked for 23 years at Château Calon Ségur in Bordeaux – she met him while she was doing a winemaking stage there. They now own a 70-hectare organic estate together in the north of Ningxia. Their inexpensive Last Warrior wines are good value; Summit is their top red. It’s a touch reductive on the nose but opens up with air. Medium-bodied, good freshness, actually quite light-bodied but has a good concentration of bright berry fruit and fine-grained tannins. A hint of greenness on the long finish but is nevertheless a very good wine. 100% Cabernet Sauvignon. 16-year-old vines, 14 months in 70% new oak. Their Jiabeilan Reserve 2009 won the 2011 Decanter World Wine Awards Best Bordeaux Varietal over £10 Trophy, a turning point for Ningxia wine that kicked off the development of the modern industry. Their 2015 is has a distinctly minty nose, alongside fresh and lifted blackcurrant fruit. It’s a light- to medium-bodied style of Cabernet with fine tannins and balanced acidity, leading to a tapered finish. Elegant and fresh, with less concentration and body than a typical Bordeaux, but also fresher than many. 90 points, 2018 to 2023. 90% Merlot, 10% Cabernet Sauvignon. Menthol, polished woods and black cherry with an unusual and distinctive fresh herbal touch. Medium-bodied, fully mature now but still lively, with some mushroom and beef stock on the palate. Good acidity, good balance, some length. 90 points, 2018 to 2019. 85% Cabernet Sauvignon, 15% Merlot. 14 months in new French oak. 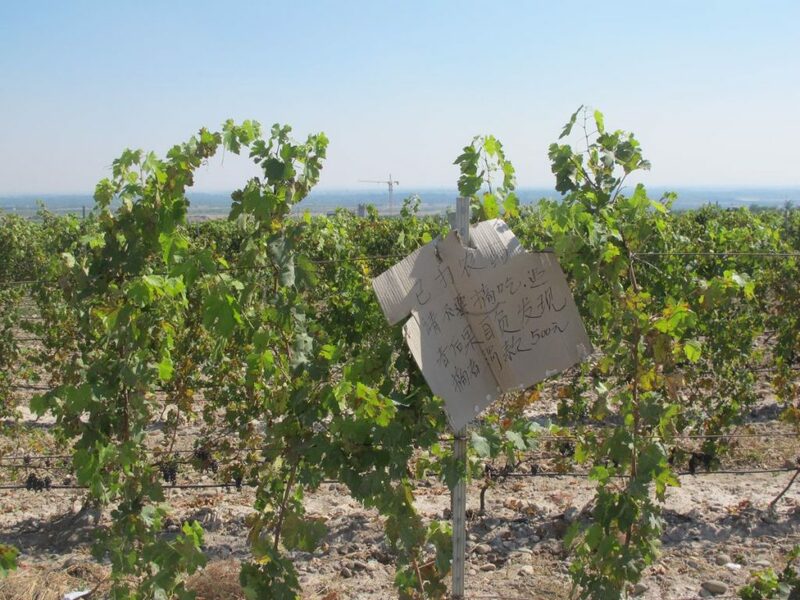 Owners of the oldest vineyard in Ningxia; a plot of 21-year-old Cabernet Sauvignon near 1,000-year-old stone tombs dotted across the landscape nearby. Their Kalavinka is named after a stone icon found buried in the vineyard. Mature black fruit compote aromas, a touch minty, with some oak spice. Medium-bodied, good energy and concentration of fruit on the palate. 90% Marselan, 10% Cabernet Sauvignon. 50% new French oak. A small family-owned winery established in 2009 which specialises in Marselan. Their 2016 has an attractive nose; raspberry and plum skin with a marked cedar note from the oak. Persistent bright red fruits on the palate pepped up with marked acidity but the overabundant oak leads to a slightly pinched finish. An easy thing to fix for future vintages – one to watch. The first vintage of this new government-owned estate run by energetic young New Zealander Dave Tyney. It’s a light, fresh, style with pear and a touch of banana. Light-bodied but good fruit on the palate and balanced acidity. A straightforward wine with good drinkability. A 100-hectare estate planted in 2013 by the electronic appliance manufacturer Midea Group. Their 2017 Chardonnay has a light macadamia oak sheen on the nose and a silky feel on the palate. Elegant, well balanced peach and apricot fruit. Moët & Chandon’s 68-hectare outpost in Ningxia produces a white and rosé brut and a white and rosé medium-sweet style called Me (translates as ‘besties’). They only make traditional method sparkling wines, all for the domestic market. The white Brut in the best; soft fizz, well balanced, just dry enough to be described as a Brut. Good acidity and a touch of autolytic character. Pleasantly drinkable international fizz. Helan Mountain is a large estate now fully owned by drinks behemoth Pernod Ricard. Head winemaker Linda Ren made the 2017 Premium Chardonnay after a winemaking stage at Church Road in New Zealand. Tasting some older Chardonnays, it’s clear the new techniques she picked up have really benefitted her wines. It’s 60% barrel fermented, some old barrels, some new. Part whole bunch pressed direct to barrel. Part controlled juice oxidation, part wild ferment, part malolactic. It’s oaky on the nose, with some citrus notes. Medium-bodied with good intensity of fruit. It’s also pretty oaky on the palate, but has real vibrancy of fruit underneath. 72% Cabernet Sauvignon, 20% Cabernet Gernischt, 8% Merlot, 18 months in French oak. Yuanshi is an extensive 1,500-hectare park (encompassing winery, hotel and 100-hectares of vineyard) established in 2008 by a local businessman who made a fortune in tree production and quarrying. Beautifully designed with expert local craftsmanship with incredible attention to detail, it’s one of the most visually stunning wineries I’ve ever visited. The 2014 Soul of the Mountain is lightly peppery in aroma, with vanilla-flecked blackberry and blackcurrant. It’s a medium-bodied, concentrated, fairly tannic style, not too green, with a savoury finish. 80% Cabernet Sauvignon, 20% Merlot. 12 months in French oak, 50% new. A new project by fashion designer Qingsong Shao, this 100-hectare estate was planted in 2011. Medium ruby, fairly deep in colour. Blackcurrant and blackcurrant leaf. Medium to full-bodied. Acidity is firm, fruit is quite lush, but then slightly herbaceous on the palate, with some green tannin on the finish. Next post: The Court of Master Sommeliers: who says cheaters never proctor?